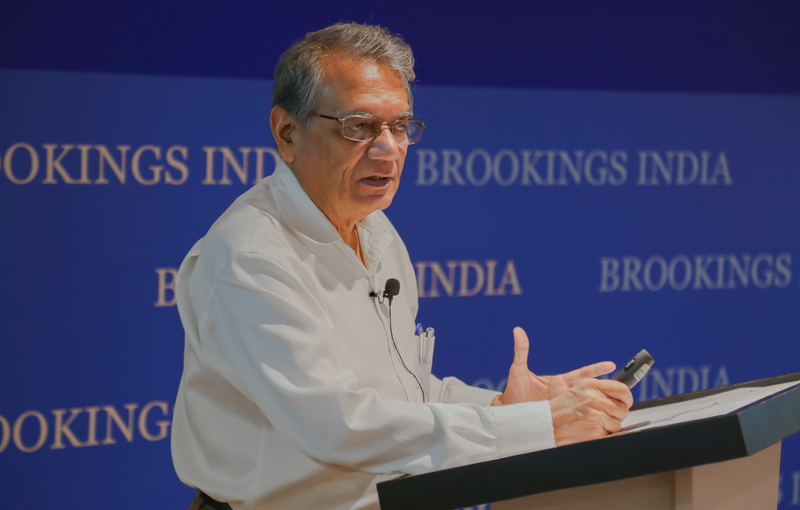 Rakesh Mohan is also currently Senior Fellow at the Yale Jackson Institute for Global Affairs. Before joining Brookings India as a Distinguished Fellow, he was Executive Director at the International Monetary Fund, Washington, D.C., USA representing India, Sri Lanka, Bangladesh and Bhutan since 1st November, 2012. Till early 2014, he was Chairman, National Transport Development Policy Committee, Government of India, in the rank of a Minister of State. Dr Mohan, who holds a B.Sc in Electrical Engineering from Imperial College, University of London, a B.A. from Yale University and a Ph. D in Economics from Princeton, had earlier held the position of Deputy Governor of the Reserve Bank of India. He was also Secretary, Department of Economic Affairs, Ministry of Finance, Government of India. He has held several positions in Government of India and was Chief Economic Advisor, Ministry of Finance, Government of India in 2001-02. Dr Mohan has written extensively on urban economics, urban development and Indian economic policy reforms. His most recent book, “Growth with Financial Stability: Central Banking in an Emerging Market,” focuses on issues relating to the evolution of banking and finance, the conduct of monetary policy, the management of the financial sector, and the role of central banking in the Global Financial Crisis.